To be born into a Baha’i family as a third-generation Baha’i comes as a great blessing by itself. The Light was right there, from the day I was brought into this world. I did not have to struggle much in search of the Divine Truth. I was guided into the Faith first through my family members and later through the children classes that I attended. I grew in the Faith, basking under the Light of Bahá’u’lláh. My grandfather Mr. B.D. Saleh, was one of the first Baha’is in Ceylon, which was renamed Sri Lanka in 1973. He was introduced to the Cause in the late 1940’s by a pioneer from India to Ceylon, Dr. Lukhmani. Dr. Lukhmani came to pioneer in Ceylon on the loving advice of our beloved Guardian, Shoghi Effendi. My grandfather hails from a Muslim Malay family of Ceylon. 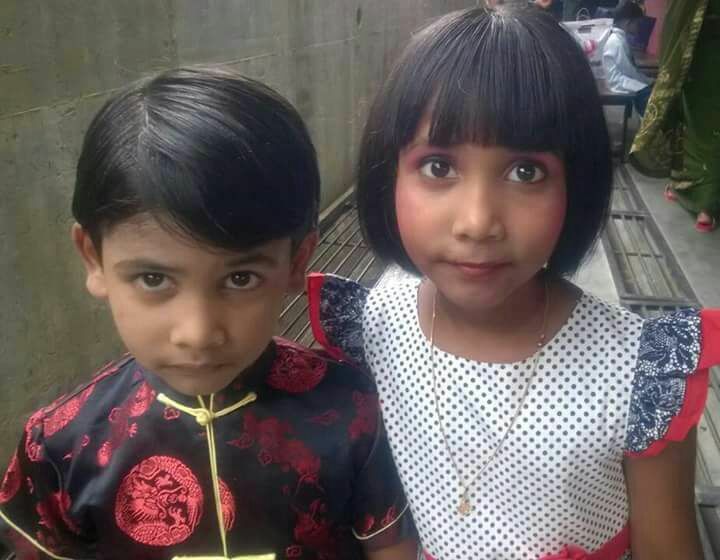 I too have the Malay blood in me. 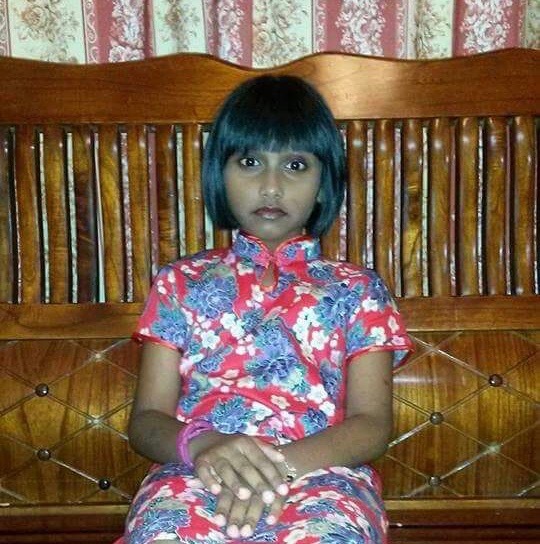 We are called Malays of Sri Lanka, originating in Southeast Asia in the early days. My grandfather who was well versed in the Islamic traditions spent time reciting Islamic prayers and verses at the Grand Mosque in his neighborhood. In the deep corner of his heart he was looking for the return of Imam Mahdi. When he found the Faith, he was very convinced of the fulfillment of the prophecies in Islam. His acceptance of the Bahá’i Faith drew immediate opposition from his family, relatives, friends, and foes alike. My grandfather had to undergo tremendous number of tests and difficulties in the face of such oppositions. Yet he was unmovable as a mountain. His further strength came from a series of personal communications with the Guardian himself. After spending several years with his daughters in Sweden, my grandfather came to Cambodia in early 2000. On 9 February 2002, his soul took his flight to the Abha Kingdom from Phnom Penh. 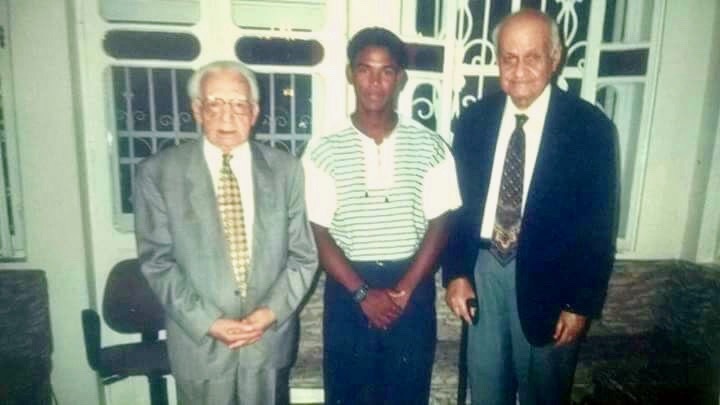 As was his wish, he passed away peacefully in a foreign country, becoming the first Sri Lankan pioneer to be buried in the Baha’i cemetery in that country. He has created four generations of Baha’is. My mother was the eldest child born for my grandparents. My parents too served the Faith in many capacities. My mother served in the National Baha’i Women’s Committee in the 1990s. My family also served as the custodians of the Temple Site (Land) of Sri Lanka from 1993 to 2003. Thus, I had a good exposure and foundation in the Faith. I attended at a leading Buddhist school in Colombo and took up Buddhism as my religious subject for the ordinary level examinations in 1993. I used to attend many Buddhist activities and visited temples to be able to understand the principles of Lord Buddha. My family used to live predominantly in a Christian neighborhood called Moratuwa, the place where I was born. Most of my friends were Christians. We were invited for Christmas carols and parties. We used to visit the Church too. All these exposures to other religions only led me to understand the Bahá’i Faith better. From my childhood days, it was my grandfather who was my mentor and source of steadfastness in the Faith. It was from the 1960s that an influx of pioneers and international travel teachers started coming to Sri Lanka, mainly from Iran, India, and Malaysia. Association with them boosted my knowledge and spirit. I was also given a strong foundation through children’s classes by two teachers who were so dedicated in their services. They thoroughly instilled in me both the fear and love for God. They were the pioneers Mrs. Tahirih Udnawala and Mrs. Catherine who conducted weekly children’s classes. Mrs. Catherine was from Europe while Mrs. Tahirih was from Iran. Both pioneered from the early 80’s to the early 90’s. I still remember the joy and laughter at the National Bahá’i Centre in Colombo for any activity- be it Holy Day celebrations, spiritual retreats, or the Nineteen Day Feasts. Sri Lanka is most blessed to have a very spacious Bahá’i Centre that was acquired in 1955 itself. The local Bahá’i ladies would prepare the food and beverages at the kitchen for hundreds of friends. Usually it will be my grandmother Mrs. Nihara Saleh and her younger sister Mrs. Raveendra Raj who would spearhead preparations in the kitchen department with the help of other young women. At every gathering the Bahá’i Centre would erupt in laughter and joy. I accepted the Faith at the age of 15 in the year 1993. 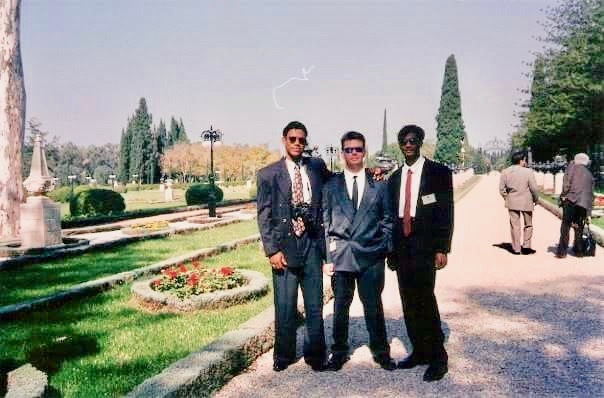 After accepting the Faith in 1993 the National Spiritual Assembly appointed me onto the National Baha’i Youth Committee of Sri I was elected as its secretary. It came as training ground for my future services in the Cause. It was during my services on the National Baha’i Youth Committee that I learned the true spirit of consultation, basics of Baha’i administration, and developed organizational skills. As a Baha’i youth, I traveled to many parts of Sri Lanka to spread the healing message of Bahá’u’lláh. I became known as a Bahá’i in my academic circles. There has always been a tremendous craze for cricket game in Sri Lanka. I was also greatly involved in playing cricket for the D. S. Senanayake Collage where I studied, and at the Burger Recreational Club. I became the Captain of the schools for the “Under fifteen (15) Cricket Team and won many awards, most prominent among them the award for the most outstanding all round player for Sri Lanka. Once you are famous there is always a tendency for people in society to fathom into one’s roots. The academic population investigated and discovered me as a Bahá’i. That made things both easy and difficult for me. It was easy as the Faith became known through me to some extent. Personally, it was difficult as I had to live the Bahá’i life in my thoughts, deeds and actions. During this period the former Soviet Union (Russia) was opened for the outside world. With the end of the Communist Era – the former Soviet Union was fast opening its doors to the outside world. In 1993, there was a call from the beloved Universal House of Justice for pioneers and international travel teachers to move to the Commonwealth of Independent States (CIS countries). The call reached Sri Lanka as well. At that point of time my spiritual mother Counselor Zena Zorabjee from India was visiting Sri Lanka often. When one occasion Counselor Zena visited Sri Lanka to meet the community and the National Spiritual Assembly, I could not attend her meeting owing to prior commitments that I could not avoid. I was told that during this meeting she had asked for volunteers to travel to Russia for pioneering and travel teaching. At least ten friends volunteered, but as time passed none of them managed to fulfill their promises. Sometime later, I was approached in rising to the call of the Universal House of Justice. I was still young, energetic and unsettled. When I was approached to go pioneering I was put into a very difficult dilemma. The call came at a time when I was rising as a promising star in the field of cricket playing. 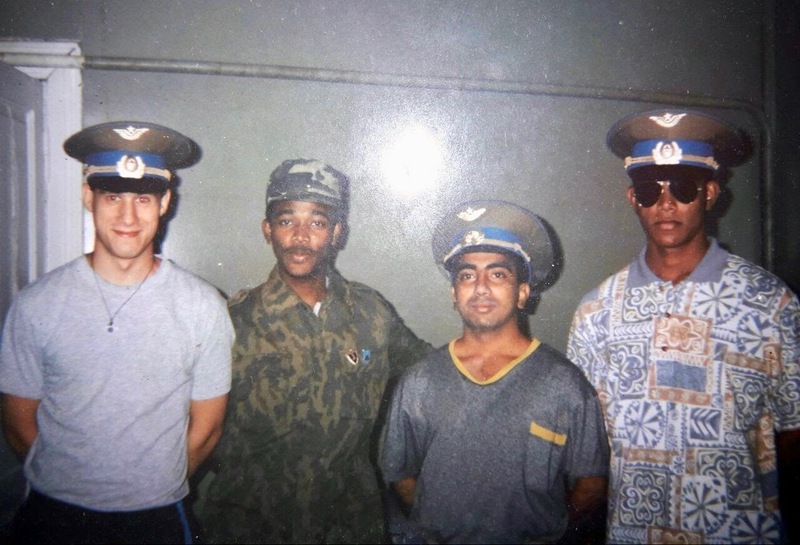 I had to make a choice – either to stay on in Sri Lanka and continue playing cricket to become world famous, or go to Russia for spreading the Cause of Bahá’u’lláh. I slowly whispered to my Cricket Team that I may have to leave the country for some years. They were shocked and out rightly rebuked saying I was going insane. They argued that the golden path for fame was already in the pipeline -a chance of life-time for which people would simply offer their lives. The friends told me to remain in the country if I wanted my name and fame to be carved in the history of Sri Lanka. On the other hand, the Baha’is and institutions told me of the reward I would get both in this world and the next if I were to go pioneering. One Bahá’i had a long private talk with me and advised me not to serve Bahá’u’lláh with expectation of any rewards, as that would sound like having selfish interest. He told me one arises not merely to fulfill the goals set by an institution, but more for the love of God- to bring happiness to the heart of Bahá’u’lláh. He very rightly gave a one to one deepening on how much Bahá’u’lláh suffered for the well-being of mankind. He said no sacrifice is great for Bahá’u’lláh. He also reminded that it would be better to go pioneering even while I was still a bachelor, as I would not be burdened and bowed down with family responsibilities. He also pointed out that it is better to arise when the opportunity comes, and should I want to serve later, there may be no such an opportunity. He drove into me a cardinal point- it is better to be remembered by Bahá’u’lláh in all the worlds of God, rather than being extolled on this earth where our lives pass with a fleeting moment. He quoted this verse from the Hidden Words,” Make mention of Me on My earth, that in My heaven I may remember thee, thus shall Mine eyes and thine be solaced.” With that advice, he left me to make the final decision. That night I was not only praying, but tossing on the bed on what decision to make. This continued for a few days. What a Mercy of Bahá’u’lláh. As I was clearing some books, I came across an old letter from the Supreme Body dated 25 March 1975: “We sincerely hope that the forefront of the volunteers, the Baha’i youth will arise for the sake of God, through their driving force, their ability to endure inhospitable and arduous conditions, and their contentment with the bare necessities of life, they will offer an inspiring example to the peoples and communities they set out to serve, will exert an abiding influence on their personal lives, and will promote with distinction the vital interest of God’s Cause at this crucial stage in the fortunes of the plan.” This letter from the Supreme Body came and answer for my questing soul. God answers our prayers in His own ways. I was convinced with no shadow of doubt that I was guided to read this letter to make a decision. decided to serve the Cause. I carved this decision firmly on the wall of my heart. Three of us decided to go to Russia with the love of Bahá’u’lláh in our hearts! 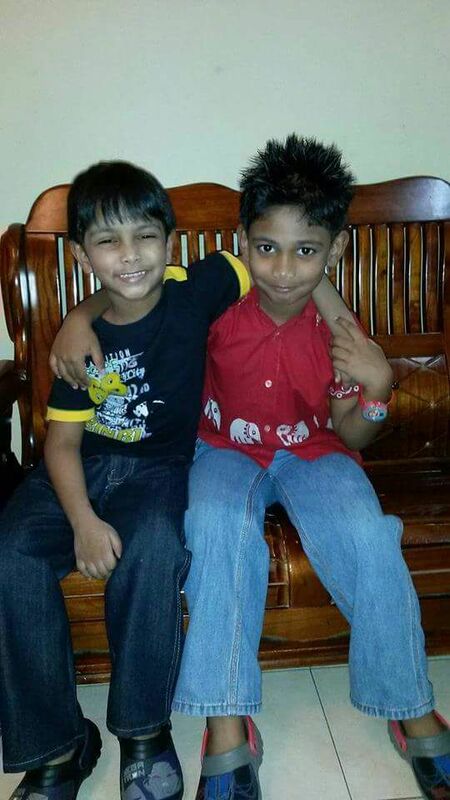 One was a youth Sapumal Kobbewala and the other my elder brother Nabil. This was just the beginning of a year -long journey that would take us to India, Uzbekistan, Kazakhstan, Kyrgyzstan, and Siberia. When we made the decision to pioneer we were told that we were the first from Sri Lanka to make this historical move. We wrote to the National Spiritual Assembly of Sri Lanka, seeking their permission and guidance to be able to travel to Russia for a year of service. We were stepping out of our country into a foreign country with different socio-economic-political environment. It was scary. But we placed all our trust and faith in Bahá’u’lláh. The National Spiritual Assembly communicated with the Continental Pioneering Committee for Asia, and a green light was shown. With that we made the preparations for the spiritual journey. Next, we communicated with Counselor Mr. Afshin in Panchghani, India to get the guidance for serving in Russia, as we were told he was well versed with the situation in Russia. He instructed us to travel to New Delhi, where he promised to meet us and make necessary arrangements to travel together with us to Russia. This was an unexpected blessing. We flew into Panchgani, India and took the Rajdhani Express train to New Delhi. We arrived at the palatial Baha’i House in Canning Road- the National Bahá’i Center. On the first day of our stay in New Delhi, we met a Bahá’i whom we understood had just returned from his journey to Russia. We had absolutely no idea who he was. That night there was not enough beds for all of us to sleep. After introducing ourselves we offered him one of our beds to sleep, as we knew he must have been tired and exhausted from the long journey. He very politely declined, saying “No please. You all should sleep on the beds and get good rest, as you are going on a greater mission as pioneers.” In him we saw nothing but only a sign of utter humility. On the second day, Mr. Afshin arrived in Delhi. That evening we all attended the Nineteen Day Feast. The Chairperson of the feast welcomed the guests and warmly introduced one Mr. Payman Muhajir as a Counselor who had just returned from Russia. When Mr. Payman stood up we were shocked and totally taken aback. My blood froze! Despite being a Counselor he was so humble and never prided in the position he held in the Faith. At the time of writing this story he was serving as a member of the Universal House of Justice to date. That small experience was a great lesson for all three of us. On the third day we joined Mr. Afshin and flew into Uzbekistan (Tashkent) to attend the very first National Convention of that country. This historical gathering was attended by Counselors, member of the International Teaching Centre, and many more distinguished Baha’is. Their soul-stirring talks that were translated, gave us added spirit to soldier on in the teaching field. During my year of service, I came across several other pioneers and travel teachers from North America, Europe, the Middle East, and Africa. They were all dedicated Bahá’is working like ants round the clock. After completing a year of service in the pioneering field, I had to return home in April 1995, leaving my heart in Russia. Sapumal fell sick and returned after three months. But my brother Nabil continued to pioneer in Russia and Moldova for more than 20 years. I went to Russia with love and returned without my heart! Returning to Sri Lanka I was not a normal person, except that my cricket team friends were full of jubilation. I was surrounded by friends and relatives and had a comfortable living. I was back to consuming my favorite food and hobbies. But something kept on telling me there was an acute vacuum within my soul. During those moments of heedlessness, I spent praying hard for some path to open for me. A thought flashed that I should serve in the Holy Land. I submitted a letter to the Universal House of Justice through my National Spiritual Assembly, requesting permission to serve at the World Centre as a volunteer. While waiting for the response I went back to playing cricket and took up some studies. Once again came out with what we termed First Class score in the cricket games. My mind was still on the answer from the World Centre. Since answer was not coming I kept reciting the Tablet Of Ahmed every morning and evening, begging Bahá’u’lláh to enable me to step into the Holy Land. A few days passed and I decided to spend some days in the National Baha’i Centre to get some spirit. On a fine day when I was at the National Bahá’i Centre there was a call from the World Centre. A Bahá’i who picked up the receiver informed me that the call was for me. What a strange coincidence! I happened to be at the national center when the call had to come. A lady greeted me and conveyed the best message of my life. She said, “You have been chosen and invited by the Universal House of Justice to serve at the Baha’i World Centre’’. I was instructed to follow certain procedures before I could lay my feet in the Holy Land. When I broke the news to the National Spiritual Assembly of Sri Lanka, that divine institution informed me that I was to be the first Sri Lankan believer to have been selected to serve in the Holy Land. That answer gave a fear that was engulfing me. As the first to serve in the Holy Land, I must set a standard and make the Sri Lankan Bahá’i community proud. Joy overwhelmed me, I could not sleep that night. On 16 June, 1996 I left Sri Lanka for the World Centre for a service that was to last two years from 1996 to 1998. And that year the Sri Lankan cricket team won the precious World Cup too. I was a lead player though I did not play for the World Cup. It was a double happiness for me. Bahá’u’lláh showered so much blessings upon me during my tenure in the Holy Land. I had the opportunity to serve in three different departments at the World Centre- Gardens Department, Security Department and Office of Holy Places. My first assignment was in the gardens department. I was to do the gardening for the residences of the members of the House of Justice. That gave me an opportunity to greet the members of the Universal House of Justice as early as 6.00 a.m. when I went to work. I was honored to meet and work for three members of the first Universal House of Justice since its election in 1963 – Mr. Ali Nakhjavani, Mr. Hushmand Fatheazam, and Mr. Ian Semple. Serving in such and august body these members were so simple, down to earth and humble! During my service in the Holy Land, three Hands of the Cause of God were residing in Haifa. They were Amatul-Baha Rhuyyih Khanum, Mr. Ali Akbar Furutan, and Dr. Alí-Muhammad Varqá whom I met in person at some opportunities. How could I ever forget holding the hand of the Hand of the Cause of God Mr. Furutan to the Shrine of The Bab every evening after the pilgrim talks were over. 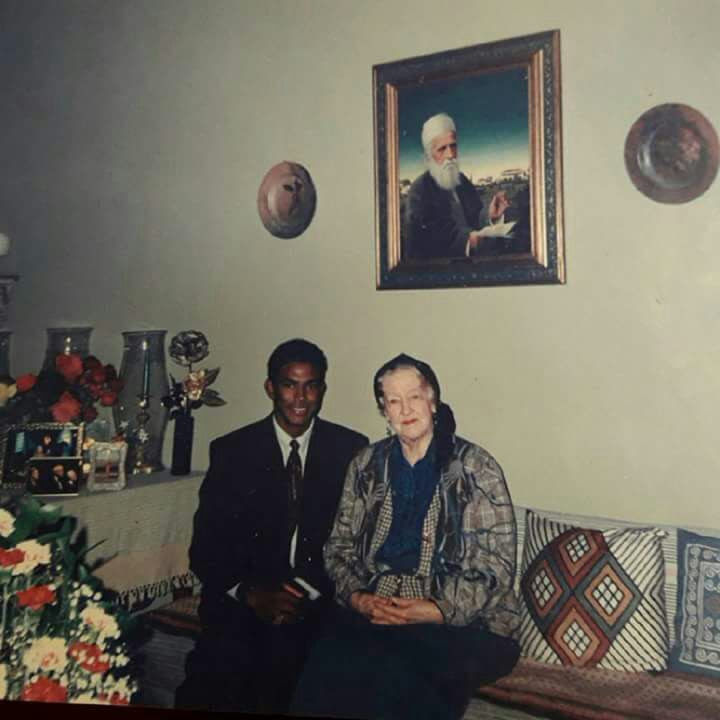 I was also given a very rare private meeting with the Hand of the Cause of God Amatul-Baha Ruhiyyih Khanum at the Master’s house where she was residing. The meeting took place in the Masters Tea Room- at the very spot where the Beloved Master and thereafter Shoghi Effendi used to have tea. I was totally lost for words as this happened beyond my wildest dreams, and imagination. What a treasure of information and inspiration I gathered from the talks by the Hands of the Cause of God. It came as blessing to have attended several deepening classes held by Mr. Adib Taherzadeh, then a member of the House of Justice, and one of the foremost authors, historians, and a teacher of the Faith. I was told his father Haji Mirza Tahirih Malmiri had spent some eight months in the presence of the Blessed Beauty. I was privileged to learn some first-hand history of the Faith first hand, and stories never heard of before. During my tenure of service I was invited again by the beloved Supreme Body to make my Nine Day Pilgrimage, thus fulfilling another spiritual obligation, and a personal dream. The manifold blessings and bountiful favors are too many to mention. These are but a glimpse of many I had experienced and witnessed. I returned in March 1998. I went to the Holy Land with a small spark in me, but returned with a flame burning profusely within me. After my services at the Most Holy Land I decided to go for travel teaching to Eastern Europe. This time I undertook my journey to The Republic of Moldova. This country was selected through consultation with then the member of the International Teaching Centre Mrs. Kimiko Schwering. After few months of traveling and teaching the Faith, I once again went back to the Holy Land for a short visit of two weeks in March 1998. Finally, I had to say good bye to a place which was so dear to my heart and soul. Just before a few of us left the World Centre Mr. Mitchel Glenford, a member of the House of Justice would give us a farewell talk. He advised and warned us of the many obstacles and challenges that we may have to face upon return to the real world. He said that when one served as a staff member at the World Centre he or she would be directly under the shadow of the Universal House of Justice, getting direct blessings, guidance and protection. But once you are out into the world of reality one would be deprived of all these. As rightly warned, upon my return to Sri Lanka from the Holy Land in 1998 I was put to severe tests and difficulties. It was a fresh spiritual battle for me. The flame was still burning within me as never, urging me to serve the Cause in some capacity. I decided to travel to Cambodia. My younger sister, uncles and the aunts had already gone long before me to Cambodia, while I was still serving in the Holy Land. I took my flight to the Kingdom of Cambodia on 10 April 2000. While I was searching for jobs in Phnom Penh, capitol of Cambodia I was actively involved in many Baha’i activities, including tutoring and conducting deepening classes for the youths. I tutored on the Ruhi books as well. As some months passed by, I became very depressed for reasons I could not understand. I was contemplating returning to Sri Lanka or travel to some other destination. At this point, I took a liking for Miss Martha Selvaraj, an awesome girl from a very vibrant community of Seremban in Malaysia. Right after I proposed to Martha, there was a visit by Counselor Mrs. Zena Zorabjee to Cambodia. I spoke to her about my intention of marrying Martha. She told me to go ahead and marry her as she comes from one of the best Baha’i communities in the world. She gave me a hug for choosing a girl from the Malaysian Bahá’i community. After obtaining the consent and blessings from our parents, we got engaged in Cambodia. Soon after that flew to Malaysia for our wedding. I arrived in Kuala Lumpur together with Martha on the 1 May 2001. We set into making the wedding preparations. The great day was fixed for 13 May 2001 in Seremban Town Hall. The Local Spiritual Assembly of Seremban and the National Spiritual Assembly of Malaysia gave us all the support and the blessings. The wedding took place with a good number of friends in presence. After the marriage, we decided to stay on in Seremban community in Malaysia. Being a foreigner I had to quickly find a job and adopt to my new home with a new bride. The ever-changing situations, unavoidable circumstances, and mixture of both tribulations and blessings got into our way. I went back to my best skills and talents -playing cricket. As I proved myself I was chosen to play and coach at the Royal Selangor Club in Bukit Kiara, Kuala Lumpur and to play for the Federal Territory at the Malaysian Premier League Cricket. I made friends with those highly placed in society – Royal family members, and several others holding prestigious titles of Dato, Datuk, and Tan Sri. They later turned to become my business associates, and for the past 8 years my relationship with them had grown from strength to strength. Bahá’u’lláh had laid a good base for me in Malaysia. 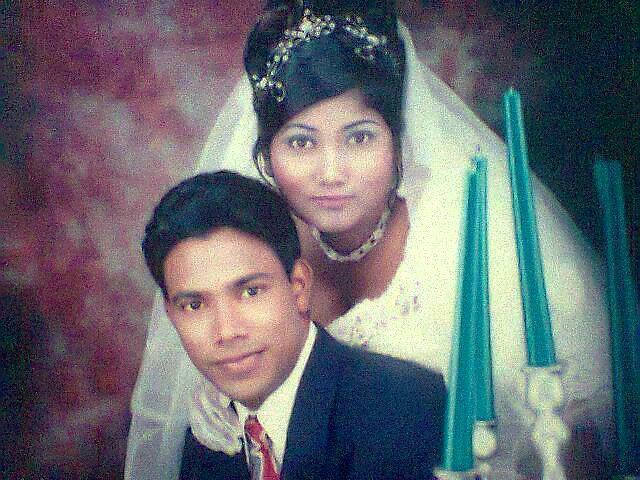 With my Wife Martha Selvaraj on our wedding day. As I started to assimilate and settle down in Seremban community, all I heard was sweet words of Martha and her parents. 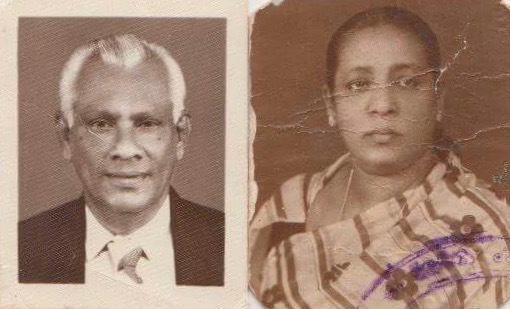 The older Baha’i’s related to me about my late father in law the late Mr. Selvaraj Sakee. He had served the Faith well and carried out several teaching activities in the local front. Madam Valli, my mother in law is a great and sincere soul. 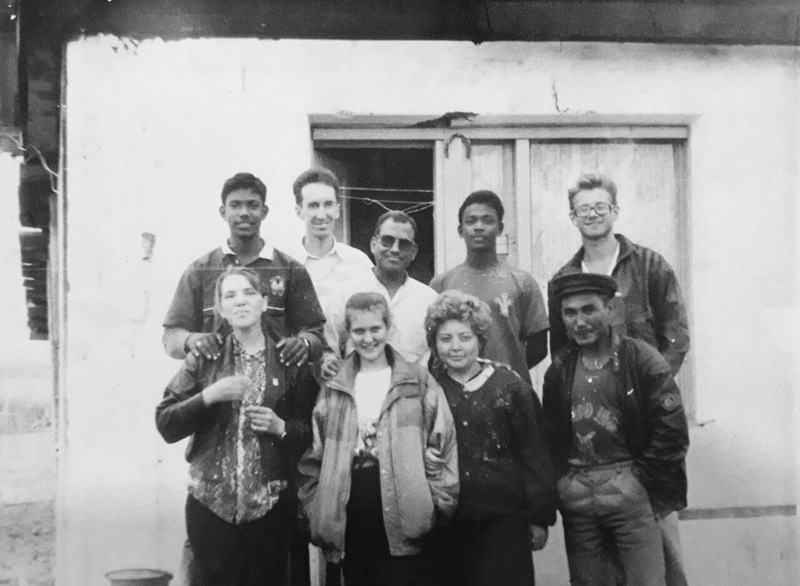 My great blessing was to be amongst the beloved Baha’i brothers and sisters of Seremban community who gave me the necessary courage, strength, and assistance required at sometimes very crucial times. I was in the midst of a community that boasts of giving birth to the first believer of Malaya- Yankee Leong. I still believe that Malaysia was the place where I transformed into maturity in life. That maturity came through a roller coaster ride. I was blessed to have served the Faith in several capacities in Seremban. The Baha’i’s of Seremban, and by extension those of the blessed Malaysian community shall ever have a special place in my heart. It was while in this community that Martha and I were blessed with Five beautiful and adorable children- two girls and three boys. Harshini, Shehan, Sheharb, Suraksha, and Shenad. They have brought meaning to our lives and made us proud Baha’i parents. Our only prayer and hope is to mold our blessed children to become great Baha’i’s. For past three years I have been mostly in Colombo in Sri Lanka due to my work and business activities. I left Sri Lanka as a travel teacher to Russia at a time when there was a need to take care of the Cause of God. I did not think of creating a future for myself as I knew my life is in none other than the hands of my Creator. 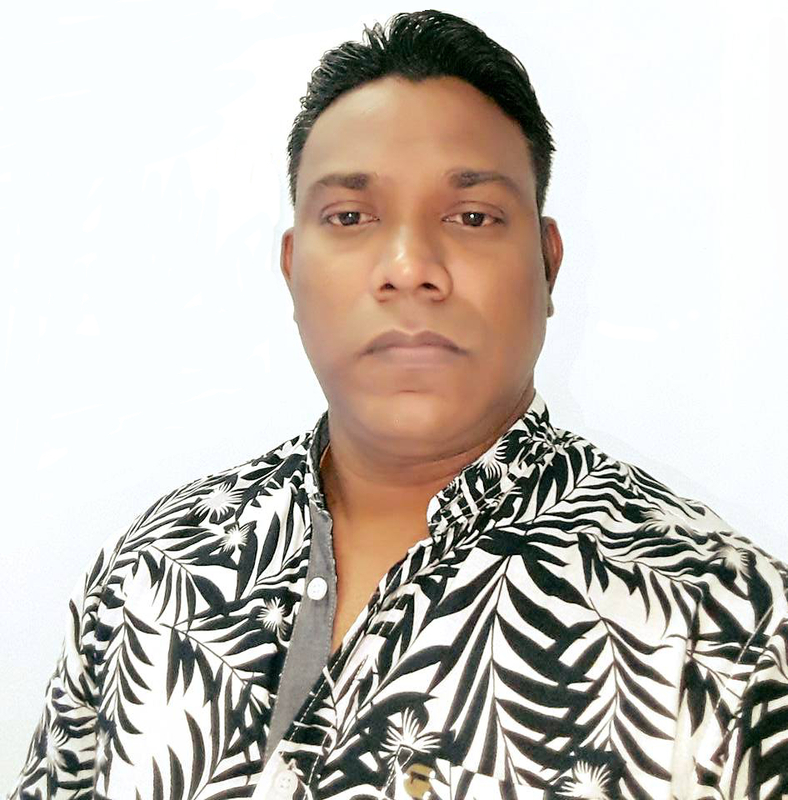 Today I am a Director of few Multinational companies in Sri Lanka. My involvement in local Bahá’i services continues in different capacities. I have been serving the Local Spiritual Assembly of the Colombo for the past three years, as its Chairperson and as the Secretary. I was appointed to the National Training Institute of Sri Lanka and am its Treasurer for the period 2016-2017. I believe at some point in our lives we must make some decisions. Mine is a story of how just one simple decision that I made had brought a new wind of change into my life. I had to choose between taking earthly advice and making a heavenly decision. Through constant prayers and meditation, I was guided to make a heavenly decision- to pioneer. That one single decision to make my Heavenly Father happy changed my life forever and brought an inner happiness within me. After all, what is there in a name and fame that would last not more than a fleeting moment. I now see attachment to the kingdom of names is a temporary intoxication. I thank the Writings and the elder Bahá’is who guided me into making the right decision. I thank Bahá’u’lláh with immense gratitude for picking this unworthy servant to serve Him in ways I did not dream or expect. I have only one prayer- to be firm in the Covenant of Bahá’u’lláh till the last breath of my life.